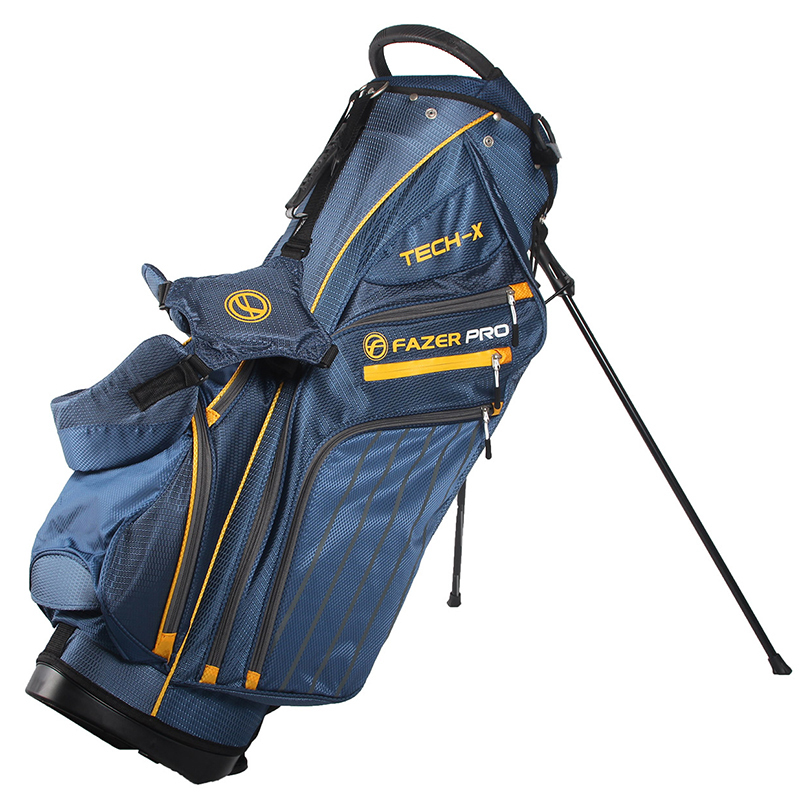 Make the most of your golfing days in comfort, with the high performing stand bag from Fazer. 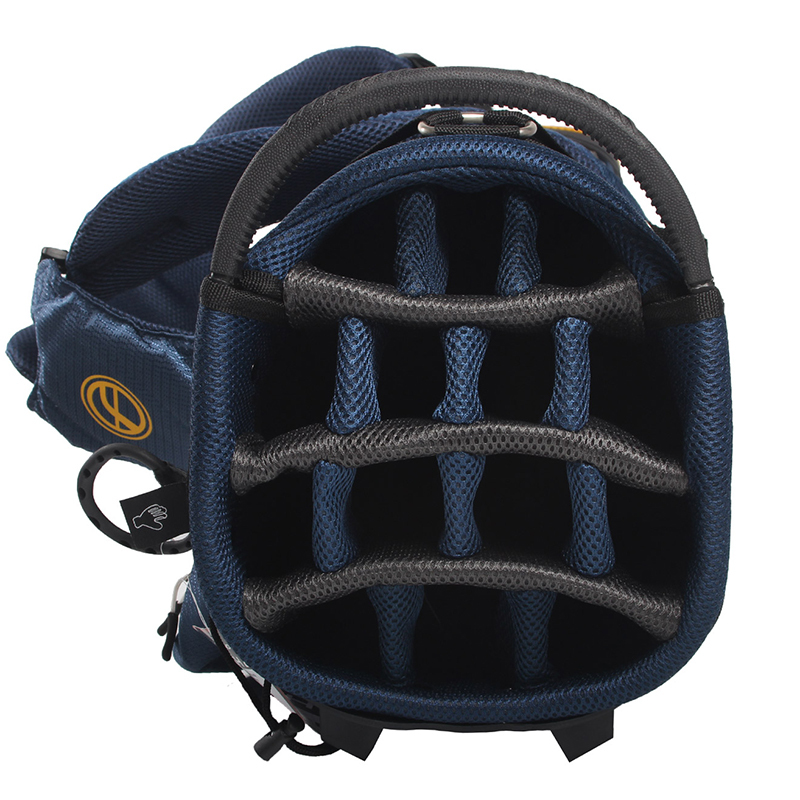 An incredibly comfortable dual strap, with extra thick padding on the hip pad, you won't have any problems carrying it around the course. 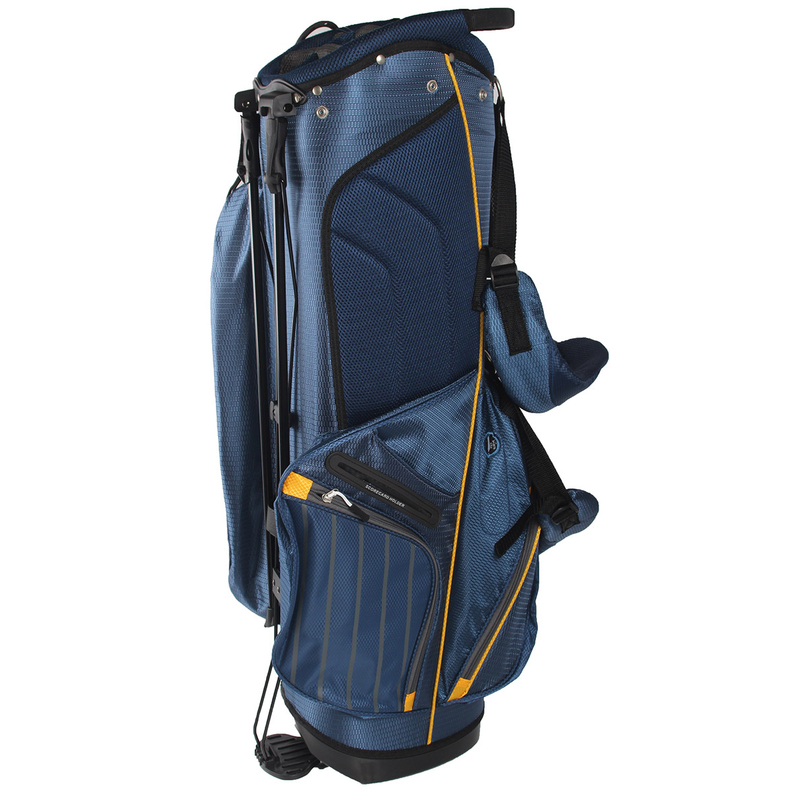 To assist you even further, the bag has an extra towel ring, velcro glove attachment, umbrella holder, scorecard sleeve, hydration sleeve and rain hood cover, so you are covered for every need that may occur. 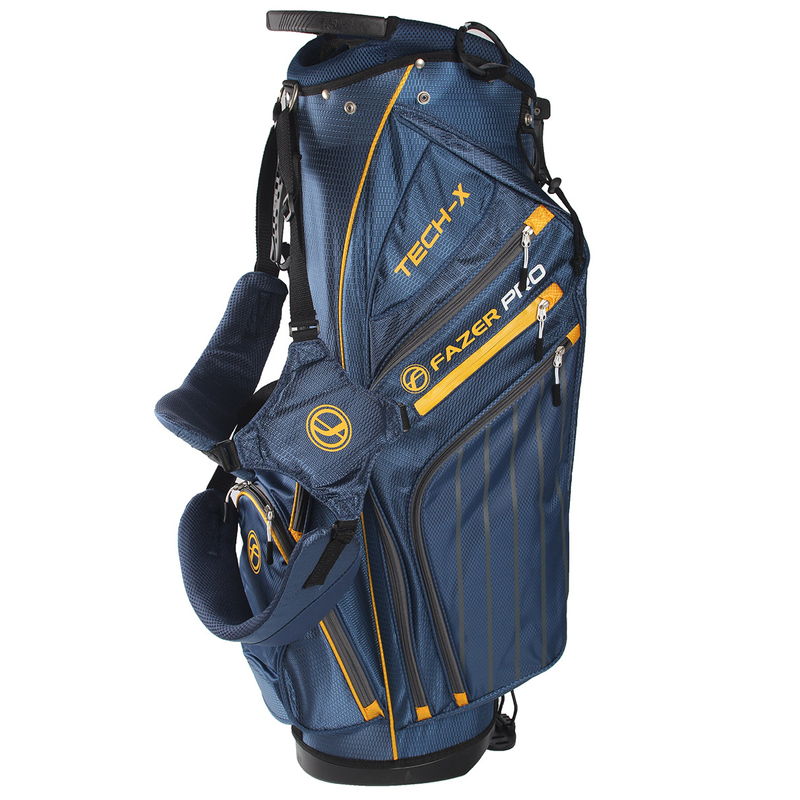 The bag has 6 pockets with durable zips, to give you plenty of storage options, including a valuables pocket which is velour lined for extra protection. 14 full length graphite friendly dividers ensure better management, fully setting up your equipment to ensure you can select with a club ease.